There is no direct way to remove elements from an Array in Java. Though Array in Java objects, it doesn't provide any methods to add(), remove() or search an element in Array. This is the reason Collection classes like ArrayList and HashSet are very popular. Thanks to Apache Commons Utils, You can use there ArrayUtils class to remove an element from array more easily than by doing it yourself. One thing to remember is that Arrays are fixed size in Java, once you create an array you can not change their size, which means removing or deleting an item doesn't reduce the size of the array. This is, in fact, the main difference between Array and ArrayList in Java. What you need to do is create a new array and copy remaining content of this array into a new array using System.arrayCopy() or any other means. In fact, all other API and functions you will use do this but then you don't need to reinvent the wheel. For an Object or Reference arrays, you can also convert Array to List and then remove a particular object and convert List back to the array. One way to avoid this hassle is by using ArrayList instead of Array in the first place. Btw, if you are a complete beginner in Java world and don't know much about Java API, particularly Java Collection framework which provides ready-made classes for common data structure like array, list, set, hash table, stack, queue etc, I suggest you to first go through The Complete Java Master Class course on Udemy. It's one of the most comprehensive course and covers Java from length to breadth. It's also the most up-to-date course and recently updated for latest Java version. The ArrayUtils also provided several overloaded remove() method for the different type of primitive arrays like int, long, float and double. 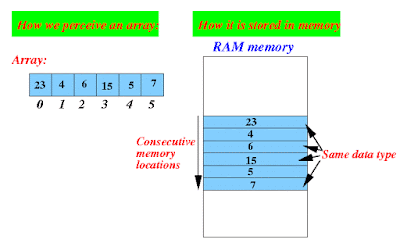 Btw, if you are not familiar with array data structure itself, like it stores elements in contiguous memory location, provides fast search capability in O(1) time if you know the index and adding and removing elements is very difficult then I also suggest you go through a comprehensive data structure and algorithm course like Data Structures and Algorithms: Deep Dive Using Java on Udemy. It's one of the most important topics and you just cannot afford to ignore it. This is also your first steps towards becoming a better computer Programmer you always wanted to be. * to delete elements from primitive array. System.out.println("Original Array : size : "
That's all on How to remove an element from Array in Java. You can create your own method to delete objects from Array as well but ArrayUtils is tried and tested by Java community and offer a convenient way to delete an element from Array in Java. It’s always better to leverage a library method instead of creating new in Java development. THIS IS USELESS import org.apache.commons.lang.ArrayUtils; DOESN'T NAME A TYPE IN A PACKAGE. Yeah.. THIS IS USELESS (import org.apache.commons.lang.ArrayUtils;) doesn't recognize by the package. I guess in some of these questions they won't want you to use inbuilt classes and all. Here is a way to get it done with plain primitives. You are my saviour! i just imported java.util.Arrays; and this worked flawlessly! That's nice but does that changes the length of the array or array length is still the same?